A few years ago I was lucky enough to spend a summer studying in France. I like to think of this as the summer I ate my way around Europe. And like most adventures in eating, I stumbled across something I loved and will forever associate with that summer: soupe de poisson. Handsome Husband bought me a vintage copy of Larousse’s Gastronomique (first English version!) which had about 25 versions of fish stew/bouillabaisse in it. Then I found this recipe from good ol’ Martha. And this guide from, of all places, Country Living. 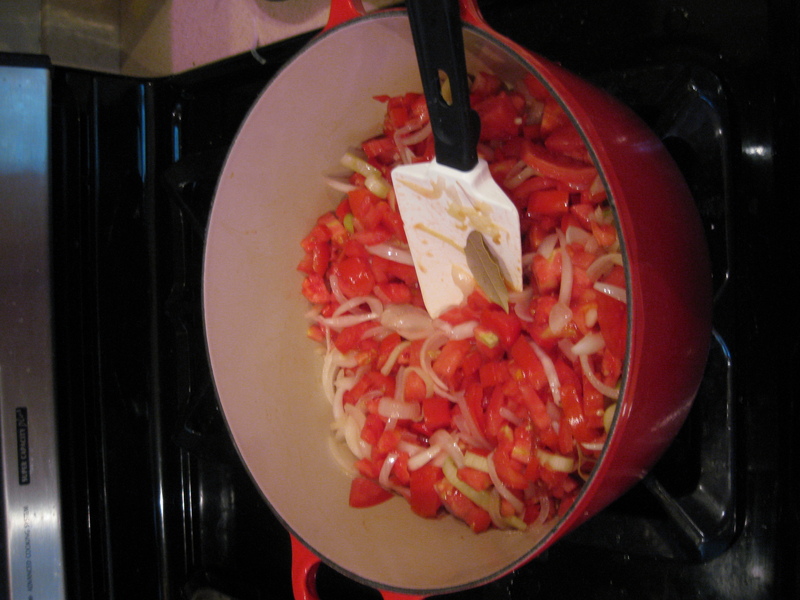 The first round of ingredients go into the pot: tomatoes, leeks, onions, garlic, fennel, pepper, and saffron. Let them soften and sweat for about 5 minutes. Next add the fish, wine, and water to the pot and bring to a boil. Let it simmer and make your kitchen smell delicious. 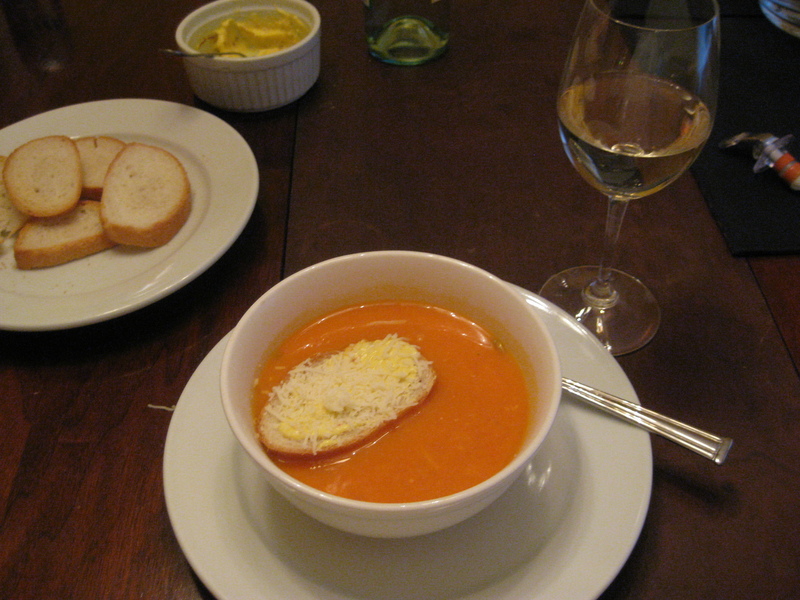 While the soup is simmering and reducing, slice up some thin slices of baguette and toast just slightly. Prepare the rouille. 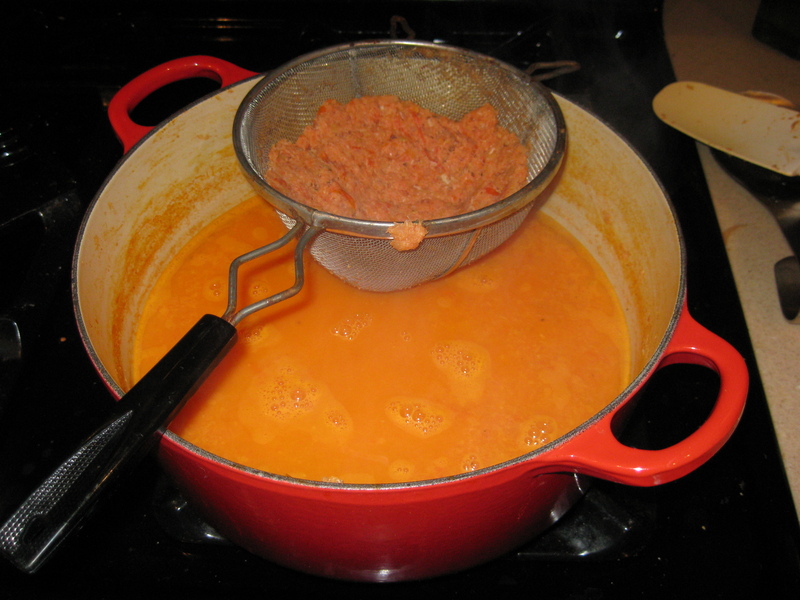 Rouille is a mixture of mayo, garlic, red pepper, and saffron. Can I just mention that I LOVE that the French have multiple versions of “fancy mayonnaise”? Genius. I then did a quick mix with an immersion blender, to ensure it was really smooth. Now we’re ready to serve! 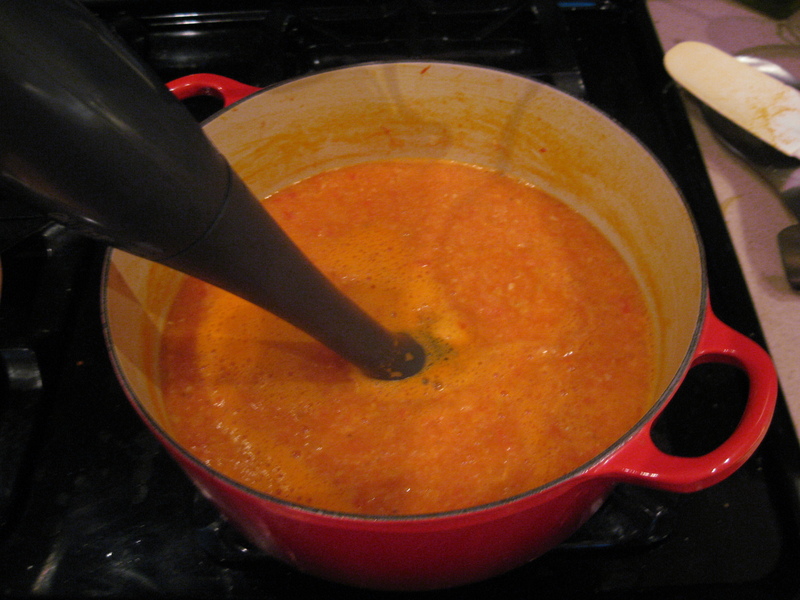 Ladle the soup into bowls, smear a little of the rouille on a slice of baguette, and float it on the soup. Sprinkle a little Parmesan and VOILA! Ahhhhhh! Just how the French intended! A little chilled white from the Loire Valley and you’re all set. The soup is filling, without being heavy and it does have a fish flavor, but its not “fishy”. I think for most of us in flyover country, its a really unexpected “seafood” dish and not what most poeple think of when they imagine French food. 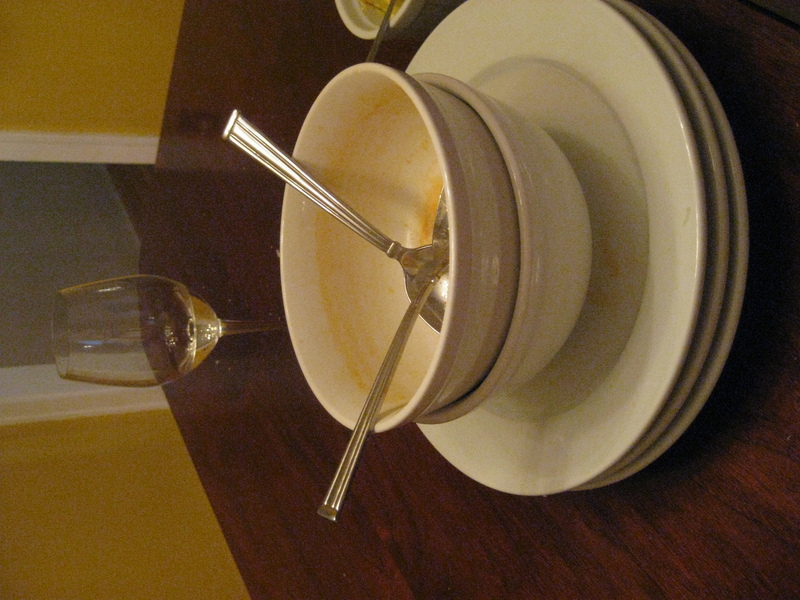 UNFORESEEN BONUS: The recipes seemed much more surmountable that than making bouillabaisse! Which, most aficionados will tell you takes hours if not days to make properly. And you get to eat rouille (aka fancy mayonnaise)…which is DELICIOUS. Plus, during dinner, you can regale your fellow diners with the tale. of the night in Nice when you got ketchup on your post-bar kebab and began a tradition called “The Throwing of the Kebab”. I’m pretty sure they still celebrate it in France.